Stop it! Get your eyes off that screen! We all know the problem: DJing with computers isn’t terribly practical without looking at the computer – a lot. Native Instruments’ Traktor S8, like Maschine before it, promised to liberate laptop users from that vacant computer stare. But it, and rival offerings, have a big problem: they’re back-breaking, checked luggage-triggering, tech rider-rewriting huge. Well, you probably already worked out the S8 “flagship” wasn’t going to be the only hardware from NI to play with this concept. The question was, what would a “half-S8” / “S8 mikro” / “S8 deck” look like. If you happen to be a big fan of the artist Uner, and were staring at your screen to watch the NI live stream, you just got a glimpse of exactly what it’ll look like. 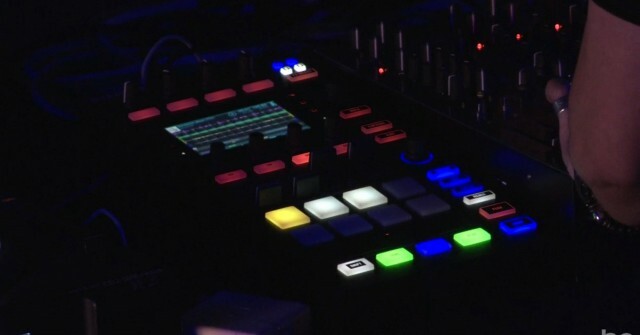 Native Instruments handed over the new hardware to some of their artists with the cameras rolling live to the Web. It’s portable – and you can see in the screenshots, it appears smaller than even half an S8. So it’s larger than the narrower F1/X1/Z1, but most usable setups with those required two our three units – this appears to do what you need in a single unit. There are 8 RGB pads, which work for sampling, cueing, looping, and triggering – again, something that works nicely on the F1 with the right mappings (there 4×4 instead of 4×2), but here much easier to use with an internal screen. If the build is anything as solid as the S8, it should be a winner on the road. And unlike the S8, you probably already have a bag that fits it. I’ll be keen to try it out physically and see the final dimensions and weight. 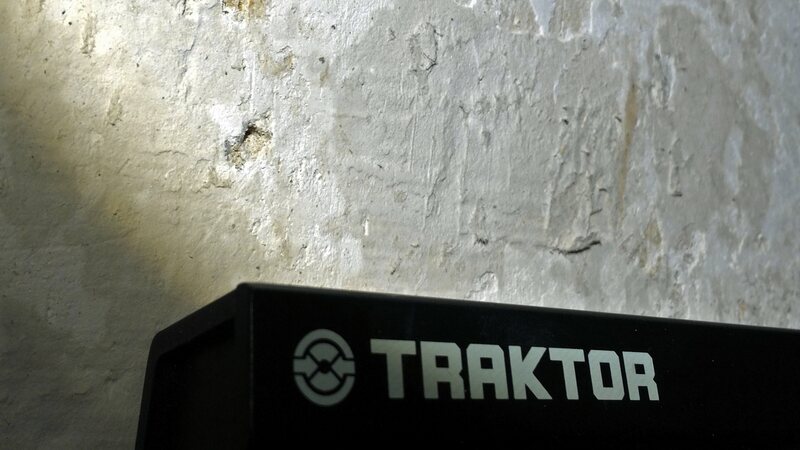 The Kontrol S8, introduced in fall. Now, once again – but smaller. 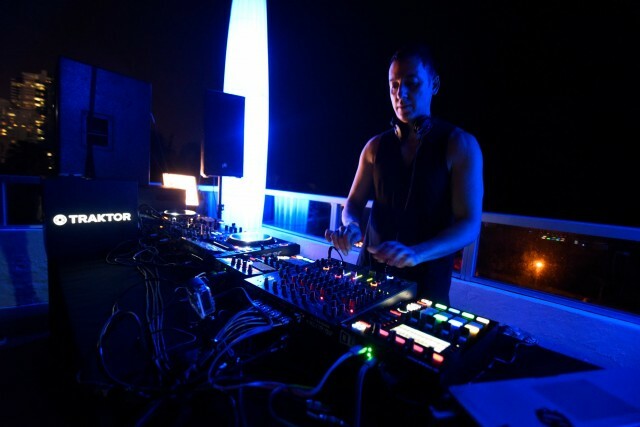 Photo courtesy Native Instruments. I’ve been playing with the S8, and while I was skeptical about some aspects of it, using it has really impressed me. 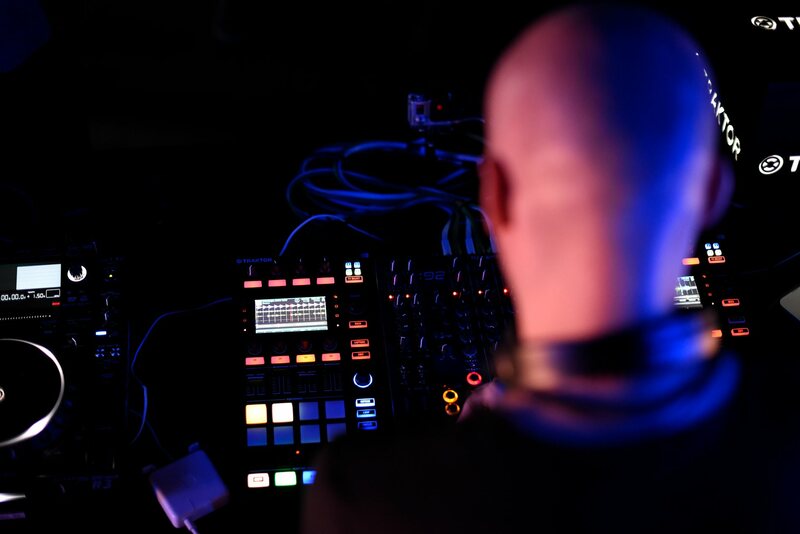 You can absolutely play without ever seeing the computer, certainly – and it is spectacularly good when it comes to things like playing with loops and sampling, even if you don’t get deep into Remix Decks. Now, having been looking at it and pondering what would come next, it’s also clear that you can’t just lop off a part of it and make usable hardware. NI also tells me that whatever they’re working on here is more sophisticated than just taking a hacksaw to an S8 prototype – and that’s a good thing. Mainly, you do get a display – so the key advantage of the S8, without an S8. You also get all of the mixing, effects, cueing, looping, sampling, and Remix Deck controls. This also eliminates the need for the F1/Z1 combo I talked about earlier this week. That’s great. Okay, so it’s basically this. Note that what’s missing if you lop off this part of the S8 is the upper right-hand corner — there you have new color-backlit deck controls A, B, C, and D.
It really is part of the S8, repackaged. All the right-hand controls on the S8 are clearly visible – in our new close-up, you can even read the print on the pads. It’s the same layout – as it should be; NI is pretty consistent with their industrial design. However, in the area silkscreened “FX” on the S8, you’ll see additional deck select controls. This is obviously necessary to allow the D2 to control all four decks. And you probably need to BYO audio interface. Also, I’m betting against any onboard audio. It’s a no-brainer: you can’t see any controls that would allow you to set volume. Anyway, that’s no huge problem: you’d simply pair the D2 with another audio interface. 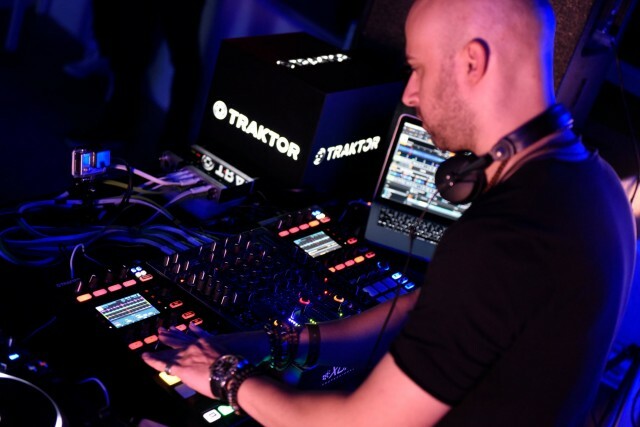 As Thierry Henri Côté notes in comments, you can see a Traktor A10 interface. The Z1/X1/F1 remain entry-level, low-cost, ultra-compact controllers. They’re also logical to pair with an iPad. Expect the D2 to clock in with a mid-range price. A Z2 is $/€800, an S8 is $/€1200. 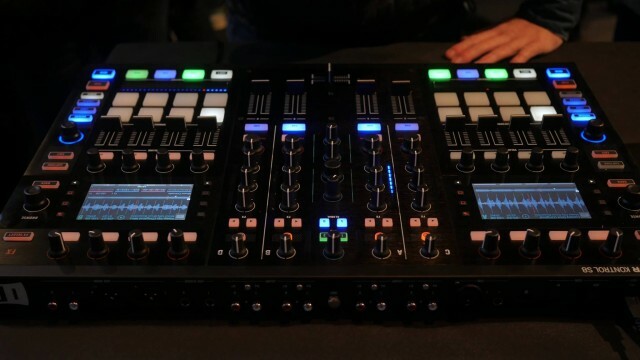 I’d expect the D2 for less than the Z2 (given that you get two of these, plus a mix control surface, plus a multi-channel audio interface in the S8) – but not too much less. The D2 is obviously a choice for anyone wanting to pair deck controls with their own mixer. That could include people who already own Native Instruments’ own Traktor Kontrol Z2 (which comes with a nice mixer), or the many DJs who prefer to work with their own Allen & Heath mixer (for instance). A Z2 with a D2 also gives you the control of the S8 but in sort of three quarters the space, and the option to go modular. But don’t estimate DJs who want to use their own mixer. 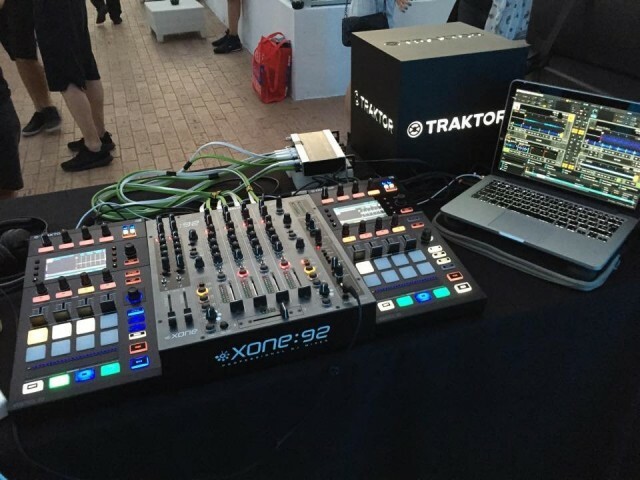 You can bet there are lot of NI’s high-profile artists who won’t touch the S8 mixer because they’re already set on their own. Also, for someone with a truly large table in their tech rider and, I don’t know, a Cadillac Escalade as their tour vehicle, I imagine someone could use a couple of D2s to add to the S8 for dedicated control of four decks. Ludicrous, yes, but – someone will. CDM Compact Rig Prediction! Take the D2. Add a Z1 (two-channel but… you’ll live). Put the Z1 on a stand for more height. Result: the EQ and mix controls are on the Z1, and you get everything else on two or four decks on the D2. 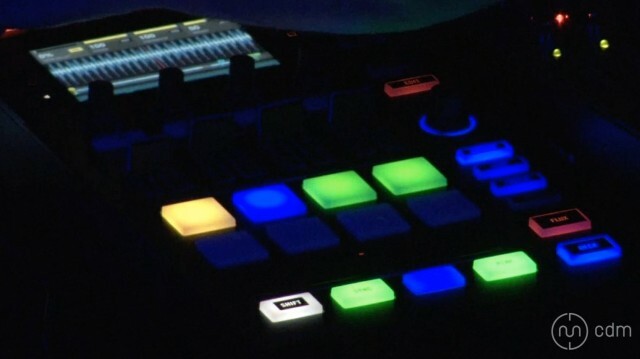 You still have room in your luggage for a Maschine and a Push, so you can basically head out on your tour with live PA and DJ gigs booked and you won’t even need to bring along a Sherpa. But this is, of course, what a lot of us were waiting for: basically, a portable, control-everything device with a screen that frees us from the computer’s eerie glowing rectangle. 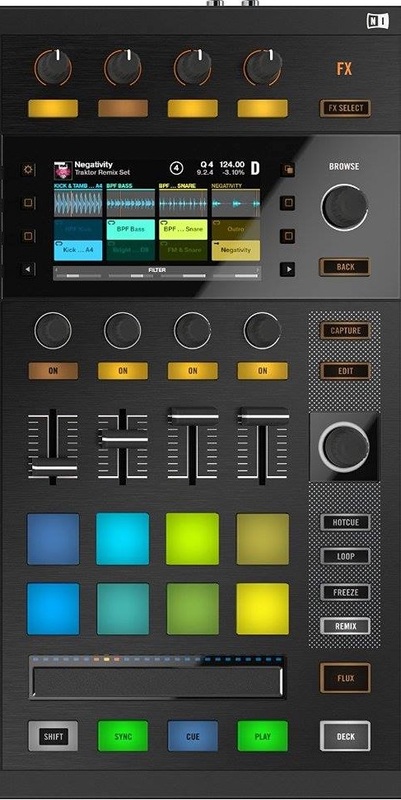 I was surprised by already loving the S8, and immediately thought, if I had this in a smaller size, it’d become my main DJ controller. Well, here we go. We’ll watch for pricing and availability, of course, and report back once we have one to test. 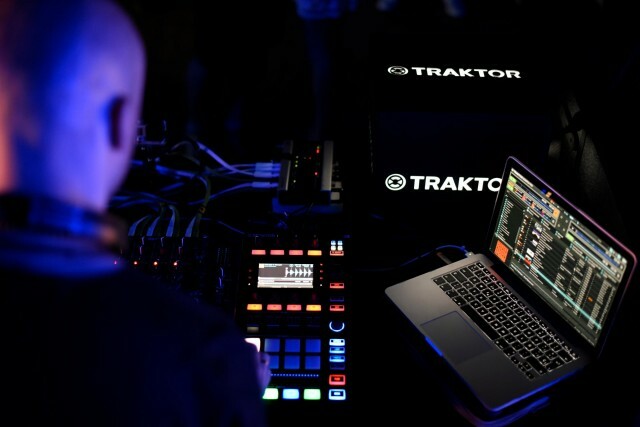 Now, the remaining questions are what updated Traktor software might go along with the hardware release, and if we’ll see things like tighter Traktor/Maschine integration – which would be a huge boon to hybrid live/DJ sets. Below, you can see the polite and measured way that NI customers typically ask for such things. But here’s the bottom line: I imagine anyone reading this could play the set you see at WMC with the brightness on the laptop turned off. And I’m actually frankly disappointed that he didn’t do just that. Take the leap of faith. Updated: it seems someone on social media managed to photograph the setup by daylight. (The sun has just come up in Miami.) And sure enough, you can see that this is really the right-hand deck control side of an S8 with deck controls in the upper right-hand corner. Even more telling about this shot: this is what a lot of artists are likely to do. 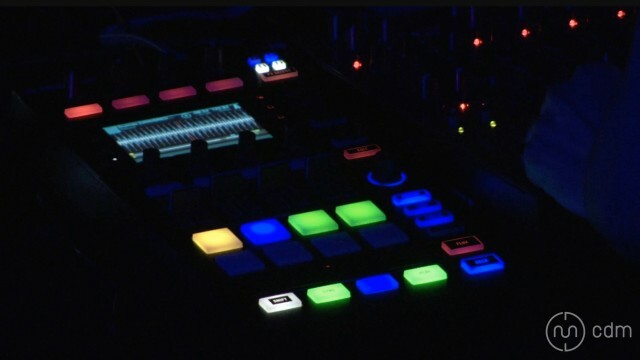 They’ll use the D2 as a compact solution when they go to a club. Or if their tech rider specifies, say, an Allen & Heath mixer (or they carry their own), they’ll plug into that. In event photos you can get a better look. Connections at the back for USB but also USB link between devices. Plastic flip-up feet that elevate the height – without the need for a stand. 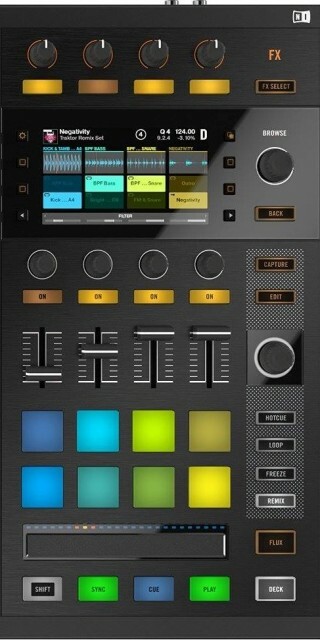 (See also: Maschine Studio.) Requires power. And clearly no audio, but… that’s fine. 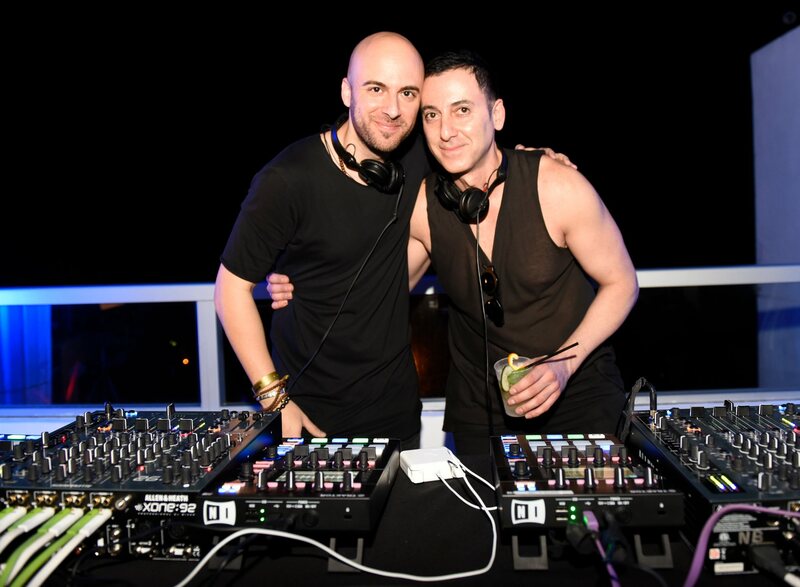 Rival DJ makers don’t have anything like this. At the same time, I see why some readers are clamoring for a standalone unit without a computer. 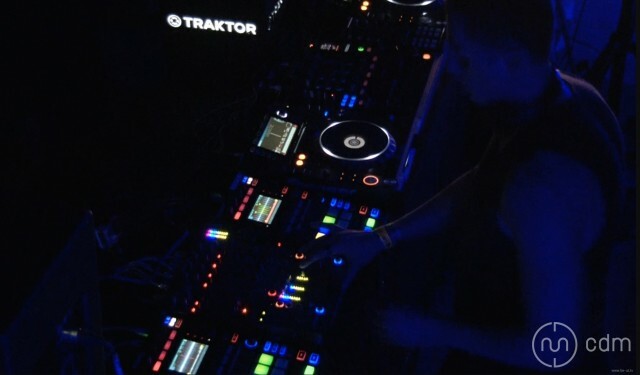 Imagine this up against Pioneer’s vaunted CDJ. That’s not in the cards yet, however.